Our Board of Directors are experienced and committed individuals who bring a wide range of expertise. With their broad range of skills, experience and knowledge, they effectively oversee the Groupâs business activities. As at 31 May 2012, the Board has seven Directors comprising of one executive member and six non-executive members. Tan Sri Dato' Mohd Sheriff Mohd Kassim, a Malaysian aged 72, was appointed as Independent Non-Executive Director and Chairman of PLUS Malaysia Berhad on 24 February 2012. Tan Sri Sheriff holds a B.A. (Honours) Economics degree from the University of Malaya, a Diploma in Economic Development from the Oxford University, United Kingdom and a M.A Economics from Vanderbilt University, USA. He was the Managing Director of Khazanah Nasional Berhad from 1994 to August 2003 after serving as the Secretary General of Treasury, Ministry of Finance for 3 years. He was the Director General of the Economic Planning Unit from 1989 to 1991. Prior to his appointment as the Chairman of the Company, Tan Sri Sheriff was the Chairman of PLUS Expressways Berhad from February 2002 to March 2012. Tan Sri Sheriff is the President of the Malaysian Economic Association and also serves as the Non-Executive Chairman of ManulifeHoldings Berhad, ScientexBerhad, Standard Chartered Bank Malaysia Berhad, Projek Lebuhraya Utara-Selatan Berhad and Konsortium Lebuhraya Butterworth-Kulim (KLBK) Sdn Bhd. Dato' Mohamad Nasir Ab. Latif was appointed to the Board of PLUS Malaysia Berhad on 31 December 2013. He is currently the Deputy Chief Executive Officer (Investment) of the Employees Provident Fund Board. He graduated in 1989 with a Bachelor in Social Science, majoring in Economics from Universiti Sains Malaysia and obtained a Certificate Diploma in Accounting and Finance from the Association of Chartered Certified Accountants in 1996 and a Master of Science in Investment Analysis from the University of Stirling, United Kingdom, in 1999. Apart from PLUS Malaysia Berhad, Dato' Mohamad Nasir also sits on the Board of United Plantations Berhad and Battersea Project Company Limited. Ms Wong Shu Hsien was appointed to the Board of PLUS Malaysia Berhad on 13 February 2012. She holds a Degree in Economics from Cambridge University and a Masters in Economics from the London School of Economics. She is a Chartered Financial Analyst. She joined Khazanah Nasional Berhad in February 2005 from Bina Fikir Sdn Bhd. Previously she worked in a private equity firm called Emerging Markets Partnership, the Principal Adviser to AIG Infrastructure Fund II. Prior to that, Shu Hsien worked as a research analyst. She is currently a Director of Investments at Khazanah Nasional Berhad. Besides PLUS Malaysia Berhad, Ms Wong also sits on the Board of UEM Group Berhad and Projek Lebuhraya Usahasama Berhad. Datuk Azman bin Ismail was appointed as Managing Director of PLUS Malaysia Berhad on 1 January 2017. He also sits on the Board of Projek Lebuhraya Usahasama Berhad, Teras Teknologi Sdn Bhd, Lebuhraya Pantai Timur 2 Sdn Bhd and PLUS Helicopter Sdn Bhd. Datuk Azman, a graduate of University of Nebraska-Lincoln, USA where he earned his Bachelor of Science in Chemical Engineering, was formerly a Managing Director of Shell Malaysia Trading Sdn Bhd and General Manager of Retail Business overseeing Shells' petroleum retailing in Malaysia and Brunei – two positions he held concurrently. He's had a 30 years distinguished career at the global oil & gas company where he held several key roles including those in operations, retail as well as finance. 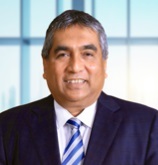 Datuk Azman also headed the transformation of the retail business in Malaysia, leading to significant increase in financial results and improvements in Health, Security, Safety and Environment (HSSE), customer focus, business controls and turnarounds. Datuk Azman Ismail currently sits as a Board member of Malaysia Institute of Road Safety Research. Mohamad Hafiz joined the EPF in 2008 and currently heads the Capital Market Department since April 2017. The Capital Market Department manages the EPF's Fixed Income (Internal & External) portfolios and Corporate Finance activities. Prior to his current role, Mohamad Hafiz headed the Private Markets and Private Equity departments. Mohamad Hafiz has more than 20 years experience in investment analysis, private equity investing, accounting and auditing. Prior to joining the EPF, Mohamad Hafiz worked at Daiwa Capital, PricewaterhouseCoopers and TM Berhad. Mohamad Hafiz is a graduate in Accounting and Finance from the London School of Economics. He is a fellow of the Association of Chartered Certified Accountants and a CFA charterholder. He is a Board member of PLUS Berhad, QSR Brands (M) Holdings Sdn. Bhd and SMW Environment Holdings Sdn Bhd. In addition, he sits on the Advisory Board of several private equity and real estate funds. Mr. Lim Tian Huat was appointed to the Board of PLUS Malaysia Berhad on 1 March 2012. Mr Lim is the Managing Partner of Rodgers Reidy & Co., Chartered Accountants and a licensed auditor and liquidator. He was previously a partner of Ernst & Young from 2002 to 2009, prior to that, partner of Arthur Andersen & Co. from 1990 to 2002. He has served as Commissioner to the United Nations Compensation Commission and as member of the Corporate Law Reform Committee (CLRC) under the purview of the Companies Commission of Malaysia. He co-authored a book entitled "The Law and Practice of Corporate Receivership in Malaysia and Singapore". Mr. Lim is the founding President of the Insolvency Practitioners Association of Malaysia (IPAM). He is a member of the Malaysian Institute of Accountants, Member of the Malaysian Institute of Certified Public Accountants and a Fellow of the Association of Chartered Certified Accountants. He holds a BA Economics (Honours) degree. Besides PLUS Malaysia Berhad, Mr Lim is also a Director of UEM Sunrise Berhad, Malaysia Building Society Berhad, Malaysia Deposit Insurance Corporation and Anglo-Eastern Plantations PLC. He is also a Director of Bank of Yingkou, China.